So who remembers when "Cute-utes" were in fact, cute? Well, cute is hard to define, but it at least implies the fact that they were smaller than the regular SUVs. Consider the Toyota RAV4. I just learned that is supposed to mean "Recreational Active Vehicle", while the 4 suggests either 4 passengers, 4 cylinders, and in some models (I assume) 4WD and 4 doors. There, 4 things that the 4 might mean. Nice symmetry. Ok, so this RAV4 thing started out quite small. As a two door, and later, as a two door convertible, it was in fact, tiny! So what happened, as typical in the US auto market, if a car is popular, it gets bigger. As the soon to be largest car company ever ever on the planet, Toyota sagely followed the GM playbook, and has progressively made the thing bigger. Now, 10 years later, it is the size that Ford Explorers were back when the RAV4 was introduced. Not so cute anymore! I dont even want to think about how big Ford Explorers have gotten. 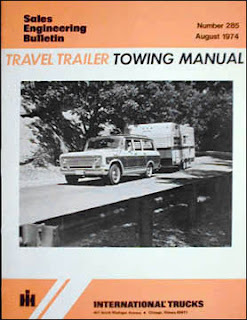 Anyone remember the International Harvester TravelAll? The shiney new Explorer I saw the other day had to be as big as one of those! Just about as pretty, too. No wood though. Too bad. Shut your mouth when you chew! Jeep in a Nash frock? Is Toyota the new Chevy?